ROAD TOWN, Tortola, VI – As the territory’s electricity infrastructure is being restored, a number of residents have reported receiving "high" utility bills for the months they were without power following the hurricanes of September 2017. During the National Democratic Party's (NDP) radio programme, NDP Radio, on Monday, March 19, 2018 on ZBVI 780 AM, a female called in to voice her concerns about being billed for months she claimed she did not have electricity, adding that other tenants have been experiencing the same issue and wanted to know what is being done to rectify the problem. She said, “I’m calling concerning the electricity. I’m a tenant in Tony Alphonso apartment and we didn’t have no current from since the hurricane and we got current on the 22nd of January. All the tenants receive a bill that is $1,000 and change and some are $800 and change. So we want to know, how we get this bill and we never had current?” while noting that BVI Electricity Corporation (BVIEC) is telling the tenants they have to pay the bill or they will be disconnected. In response, Honourable Mark H. Vanterpool (R4), Minister for Communications and Works, said he has set up a meeting with BVIEC to resolve the issue but pleaded with the corporation to be “patient with persons and not disconnect them”. Meanwhile, one resident told our newsroom that his power was restored roughly in the middle of December 2017 and he received a bill of $600, expressing that he was “shocked” when he saw the bill. Hon Vanterpool also explained that the generators that were being connected to individual's apartments might have contributed to the high utility bills. In addition, he pointed out that he does not want to give a definitive answer on what really is causing the spike in the utility bill until he meets with the BVIEC. They need to hush their cheap a$$es and pay their bill. 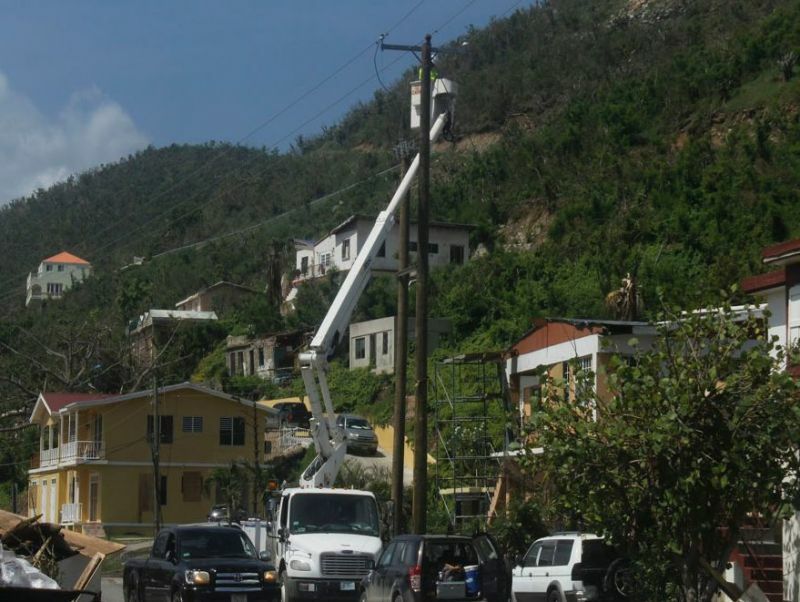 I received a $1200.00 bill for 3 months and I gladly paid it because I know the cost to restore electricity to the BVI cost millions of dollars. Anybody with common sense will just be happy their light has been restored and pay their bills. Electricity should just cut them off one time for non-payment. The Minister talking crap about be patient and don't cut them off. If they can buy a phone for over a thousand dollars every time a new version comes out, they should be able to pay their light which is a necessity for living. not everyone has a job not everyone is buying phones people like you is why the place is the way it is not everyone got their jobs and are back to normal have some heart. Politicians can talk as much ad they want these government workers still will do what they want. Nice though that Mark address the issue..
Me only pet peeve is that BVIEC should be able to come up with a way to not charge people for something they didn't use. my bill was over 1300 dollars, I didn't get electricity until sometime in January. Regardless of how the generators were connected, it should not constitute in such high bills. This is adding insult to injury. I am waiting for the outcome. This is not fair. 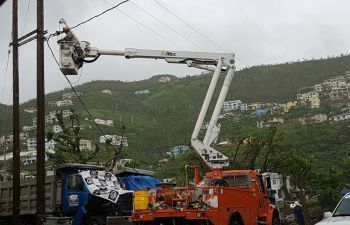 Whether or the not the generator was connected the correct way the fact is the Electricity Corporation did not generate any electricity to consumers for a considerable period of time. This is like trying to get payment for work or services that was not rendered. They did not produce any electricity so they cannot be charging for it, that is fraud and stealing. Here is another thing if they still insisting on charging then they have to subtract the fuel charge because we is who payed for it. Mark really need to step in and correct this nonsense. A set of children running the Electricity Corporation.